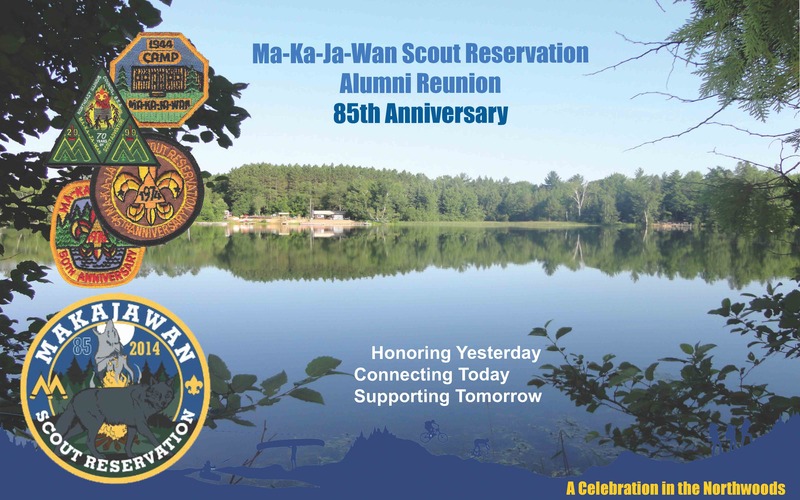 This year marks the 85th Year of Camp Ma-Ka-Ja-Wan! Whether you are a past scout / staff member / scoutmaster / friend / family member related to MSR, come celebrate this joyous occasion with those who have similar stories about the Northwoods of WI. Please sign the Alumni Guestbook even if you are not able to attend. Mike Hale Blog – Camp Reunion Promo from Northeast Illinois Council on Vimeo. This entry was posted in Uncategorized by kbaldwin. Bookmark the permalink.